Not long after Fang Tang, Deng Rong and Shen Mu returned, Lou Zigui’s personal bodyguards informed them to go to the Lou estate. Knowing that Lou Zigui wouldn’t let them make this journey for no reason, Fang Tang and the others didn’t speak further. They obeyed his command and departed Black Frost City with their respective personal bodyguards and headed for the northwest direction that very night. “Go gather the troops.” After Fang Tang and the others left, Lou Zigui ordered Song Jin. “Will the Northern Hu come to Black Frost City?” Song Jin asked. Song Jin had always been playing the role of Lou Zigui’s military counselor at his side. Hence, General Seventh Song could understand what Lou Zigui meant without using much brain power. It would be best if the main forces of the Northern Hu were still outside the pass. But if they have already entered the defense fort, then it’s impossible that these barbarians will stay put in Anyuan. They will only head to the capital straight away. Lou Zigui pointed at the map to show Song Jin. On the map was a dotted line, meandering like a slithering snake. The line stretched all the way south to its final destinationーthe capital. “This is not a path troops can march through.” Song Jin clenched his fists. “I’ll go to the barracks now.” Song Jin took his leave. Shadowbolt was dumbstruck. The capital is unsafe again?! “I-is it Xie Wenyuan?” Shadowbolt asked. *T/n: It is something worn by the owner to ward off evil and protect the owner from harm. At this moment, Shadowbolt wished that he could grow wings and fly back. 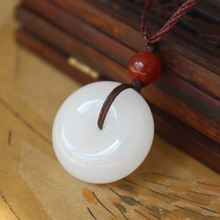 After carefully putting the amulet away, he bowed to Lou Zigui before retreating out of the study. The servants in the Lou estate had already packed his luggage for him. That very night, Shadowbolt mounted his horse and hastily left Black Frost City for the capital. While Fang Tang and Shadowbolt were still on the way, Prince Fu received an imperial decree and returned to the capital once again. When he met Ning Xiaoyao again, he sized her up. After fighting a few battles with Tao Yu and the rebels, His Majesty hasn’t grown taller and plumper. He still looks like he only has some flesh in his face. Other than his eyes, his face doesn’t have anything else noteworthy. “Uncle, come sit.” Ning Xiaoyao elatedly beckoned Prince Fu to sit. Prince Fu sat down unceremoniously. For this little emperor, he had taxed his mind and body. He even forked out money and manpower. With all that he’s done, he definitely deserves to speak while sitting down! “May I know why Your Majesty has summoned this subject to the capital?” Prince Fu asked. “Your Majesty!” Ning Xiaoyao had spoken halfway when she heard Shadowgale’s abnormal tone coming from outside the palace hall. “What’s wrong?” Ning Xiaoyao jumped in surprise. Did Fifth Young Miss change her mind again? She regretted her decision and decided she would rather die than to live an average life and be a blissful young lady? Prince Fu leaped up from his chair and knocked the chair onto the floor. “Hubei? !” Prince Fu bellowed at Shadowgale. These few days, Ning Xiaoyao had memorized the toponyms on the map. She knew about Hubei. It was still rather far away from the capital and its environs. That’s right. Ning Xiaoyao dug her nails into her palms. There is a canal and dock in Hubei. “Hurry! Invite the son of the governor in.” Prince Fu ordered Shadowgale without waiting for Ning Xiaoyao’s instructions. At this moment, Ning Xiaoyao was thinking to herself, it is still ultimately happening. She is simply an unlucky person. Grand Preceptor hasn’t died and still wants to fight her to the death. Ning Xiaoyao spread our hands. How would she know? “Your Majesty didn’t send people to investigate?” Prince Fu stopped pacing around and gawked at Ning Xiaoyao again. At this moment, Shadowgale entered the palace hall with the son of Hubei’s governor. Ning Xiaoyao took a look. She had assumed that the young master would be an adult. She didn’t expect to see an eleven to twelve-year-old little boy. “You.” Prince Fu stared blankly at this little boy. Ning Xiaoyao felt a staggering blow. His Majesty Ning didn’t speak for a very long time. The little boy knelt on the ground. He looked like he wanted to cry yet had run out of tears. Prince Fu noticed his tiny “imperial nephew” was standing numb like an idiot. Then he shifted his eyes and gazed at the miserable looking Hubei governor’s orphan. Prince Fu knocked his head and told himself he had to hang on and remain composed. Shadowgale watched as Ning Xiaoyao squatted down to coax the child. For the first time ever, he didn’t ask for Ning Xiaoyao’s opinion. He turned around and left to summon the important court ministers to the palace. The boy didn’t know much and was unable to explicate how the rebels took down Hubei. He only knew that his ‘Uncle Hong’, Hong Tonghu, was the one who opened the city gates for them. Ning Xiaoyao called for Mute Nanny and instructed her to take the child away for a bath and meal. “Your Majesty.” The little young master looked at Ning Xiaoyao and didn’t leave. The child rubbed his eyes and withdrew with Mute Nanny. When his mother sent him out of the house gates, she had told him that as the sole male of the household, he must live on no matter the circumstances. “Ah?” Ning Xiaoyao was nonplussed. “Despite knowing that war is about to break out, you want me come back to the capital again? !” At this point, an indescribable amount of anger and grief rose within him. He has just stepped into the capital, yet there’s going to be another war again! “I have no more money!” Prince Fu was still glaring at Ning Xiaoyao. This person is definitely eyeing his silvers again! Ning Xiaoyao: …True. Fighting a war requires money. Prince Fu wanted to perish with Ning Xiaoyao again. Why is he always trying to screw him over? There are so many imperial clansmen. Oh, that’s right. Prince Fu looked at Ning Xiaoyao as he panted heavily. This fellow reclaimed all their assets and privileges. Now, hardly any of them has money. “Eh, I don’t know, ah.” Ning Xiaoyao shook her head. “I don’t know.” Ning Xiaoyao still shook her head. Ning Xiaoyao rolled her eyes around as she pondered the question. Finally, she replied, “I don’t know anything at all, ah.” The thirty-six barracks were arranged by Lord Protector and Great General Xu. Since they weren’t back yet, Second Young Master Pei handled the matter of transferring the troops into the capital. Second Young Master Pei did actually inform her a little about the deployment but she didn’t pay attention so she forgot everything. Prince Fu really couldn’t understand. How could someone like this punk defeat Xie Wenyuan? That’s not right either. Prince Fu mulled over it again. Right now it’s still too early to tell who the ultimate winner will be. “How is Hong Tonghu related to Grand Preceptor?” Ning Xiaoyao asked Prince Fu. Prince Fu thought, if he leaves now, he may still make it in time. “What did you say?” Prince Fu jumped again. Prince Fu felt like his head was going to explode. Why did he have to be so well-behaved and run back to the capital?! He should’ve known that Ning Yu wouldn’t think of himself when there are joyous occasions. So why did he still rush here so compliantly? !